‘Nuf Sed and FORM are two of three ensembles offered by Edmonton’s TIME Association (Today’s Innovative Music Edmonton). 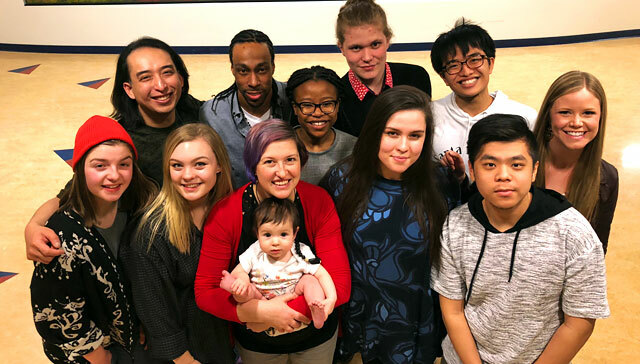 Both groups have been in existence for over 20 years and they enjoy the challenges of singing contemporary repertoire including jazz, pop, and gospel; both a cappella and with rhythm section. Over the years they have performed at festivals and conferences across North America and in Europe. Both groups have been a featured performers at the Banff Rocky Mountain Music Festival for 21 consecutive years ─ and they are thrilled to be back again in 2018.